Through the years, Italy has become one of the most important places as far as wine and fashion are concerned – that is why as the cliché goes, you are to dress Italy even when you kiss French and eat English. One of those who has been defining and influencing the fashion of the country and beyond is the delectable Chiara Ferragni. She is a fashionista, fashion blogger, model, influencer, and businesswoman who has become one of the most important individuals in the world of fashion. She was ranked No 1 on the 2017 Forbes ‘top fashion influencer’s list. Learn more about Chiara Ferragni below. Chiara was born in the city of Cremona in the region of Lombardy, Italy to a dentist father, Marco and a writer mother Marina, on May 7, 1987. Her father is from the region of Lombardy while her mother is of Sicilian origin and was born in Northern Itay. She was brought up along with her two sisters named Francesca and Valentina. Not much is known about her early life, but she has stated that she was influenced by her mother’s writing ability and this pushed her to start a blog in 2009 which she called ‘The Blonde Salad.’ As at the time she started the blog, she was already a law student in Boccioni University in Milan. She would later discontinue education to focus on her fashion, blogging, and modeling. At first, the blog was a mixture of various contents such as beauty, food, and travel. But as the blog grew in terms of visitors, Chiara decided to make the niche of her blog to tilt towards the world of Fashion. As at 2011, when she was discussed in one column as “One of the biggest breakout street-style stars of the year” by the ‘New York’ magazine, her blog was already racking up about 12 million views per month. Between 2013 and 2016, Chiara Ferragni won several awards, wrote an ebook named after her blog (The Blonde Salad) that contained fashion tips and styling advice. She worked together with an American fashion designer Steve Madden in designing a spring 2014 9-shoe collection and appeared as a guest Judge on American reality television show called ‘Project Runway.’ In April 2015, she appeared on the cover of Vogue Espana issue for the month. That was the first time that a fashion blogger would grace the cover of the notable magazine. The supermodel has teamed up with several brands to create several products including working with Intissimi to create Intissimi on ice in 2017. She has also teamed up with American toy making company ‘Mattel inc’ to create a Barbie doll that’s in the likeness of Chiara, amongst others. She has a fashion store in Milan. Chiara through her blog and fashion enterprises has been named “the most influential moms in the fashion industry” in May 2018. She has also received several ‘Blogger of the Year Awards’ which includes a three Bloglovin both at home in Italy and overseas. 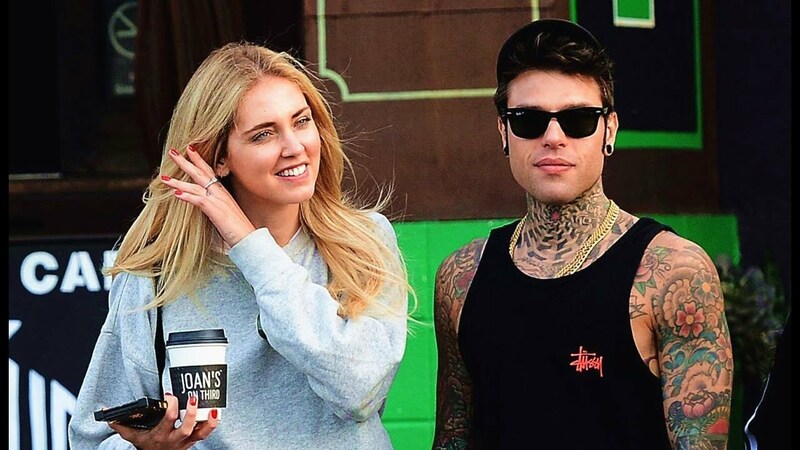 Chiara Ferragni became engaged to Italian rapper, singer and songwriter Federico Lucia who goes by the stage name Fedez when he proposed to her while on tour during his Verona Concert in May 2017. Meanwhile, the couple started their relationship back in 2016. What makes the engagement even more appealing was that it was on the birthday of the beautiful model. The couple welcomed a son named Leone in March 2018 before tying the knot in September 2018. They now live and shuffle between Milan and New York with their son and their dog named Maltida. With a blog that amasses over 15 million views per month and over 1.5 million unique views every month; several collaborations with big fashion companies and business people in the industry, several modelling gigs, several awards and endorsements, it is safe to say that the Italian who is 32 this year is living the life of her dreams. Her net worth is said to be around a whopping $8.5 million – $12million. As a young girl, she was very interested in becoming a Cali girl and so she did not hesitate to share her time with her family between California and Milan in fulfilling her childhood dream. According to the fashion businesswoman, if not for her blogging, she might have continued with her studies to become an international lawyer. As expected, Chiara is an extremely stunning lady with a height of 5 feet 10 inches and a body weight of 55 kg. She has hazel eyes and blonde hair which may have inspired the name of her blog.